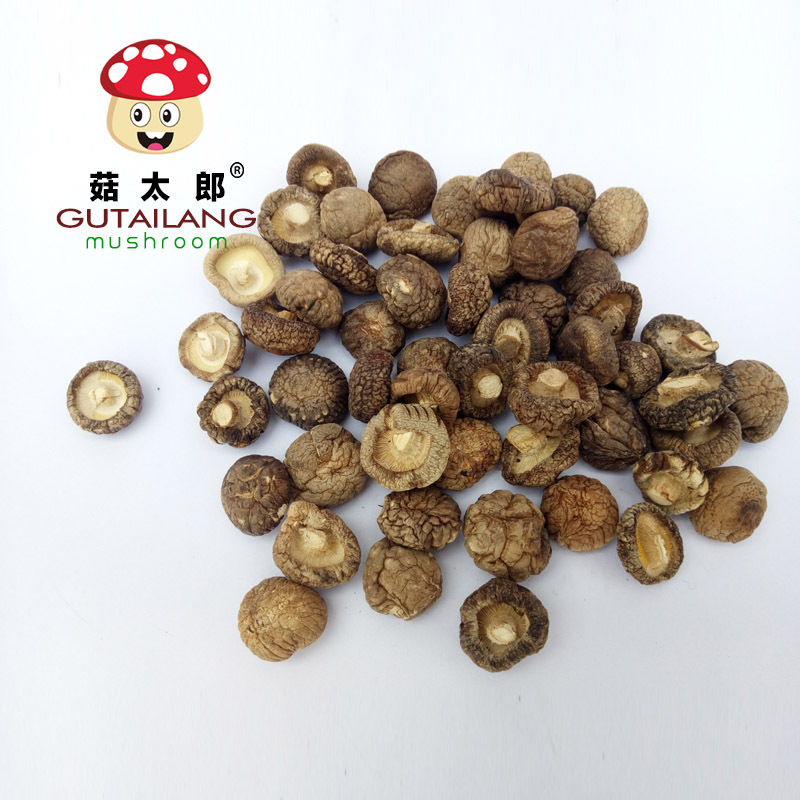 Sizes: 1.5-2cm in diameter with the root length of 0.5cm. Color: The surface colors are mainly light brown and dark brown. The bottom color of the folds is light yellow. Moisture Contents: Less than 12%. Drying method: Air dry (AD). Testing Reports: SGS testing reports available for customers. We have entrusted SGS to specially conduct 194 kinds of testing on pesticide residue for the products that all of them conform to the requirements of European Union. 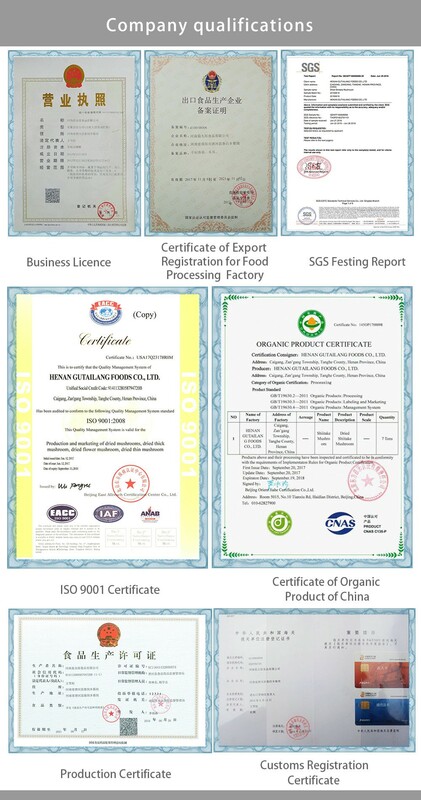 Safety: No carbendazim and other pesticides, qualified for the USA, EU, Japan and Korea markets. No adulteration of unsaleable stock as well as no worm-holes and mildew exist. Impurities are selected by manual and the fragrance is dense. Origin: Henan province, central China. 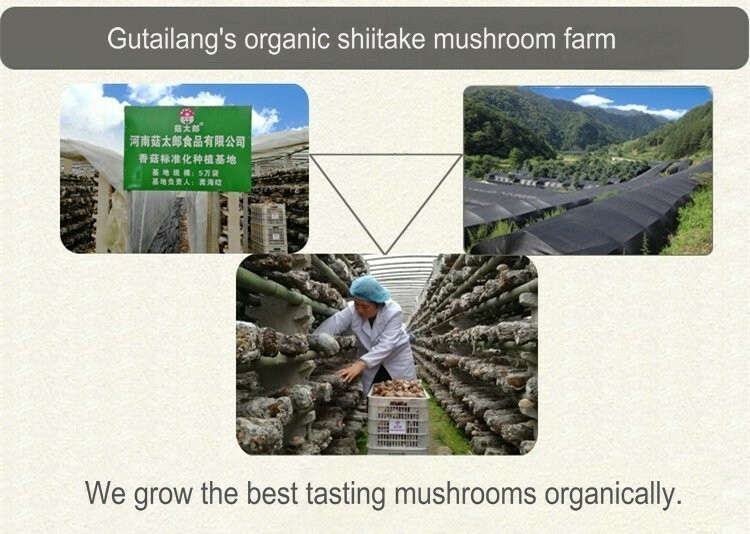 Gutailang shiitake mushrooms grow in mountainous areas without pollution. Markets: China, The USA, EU, Japan, Korea, Russia, Southeast Asia, etc. 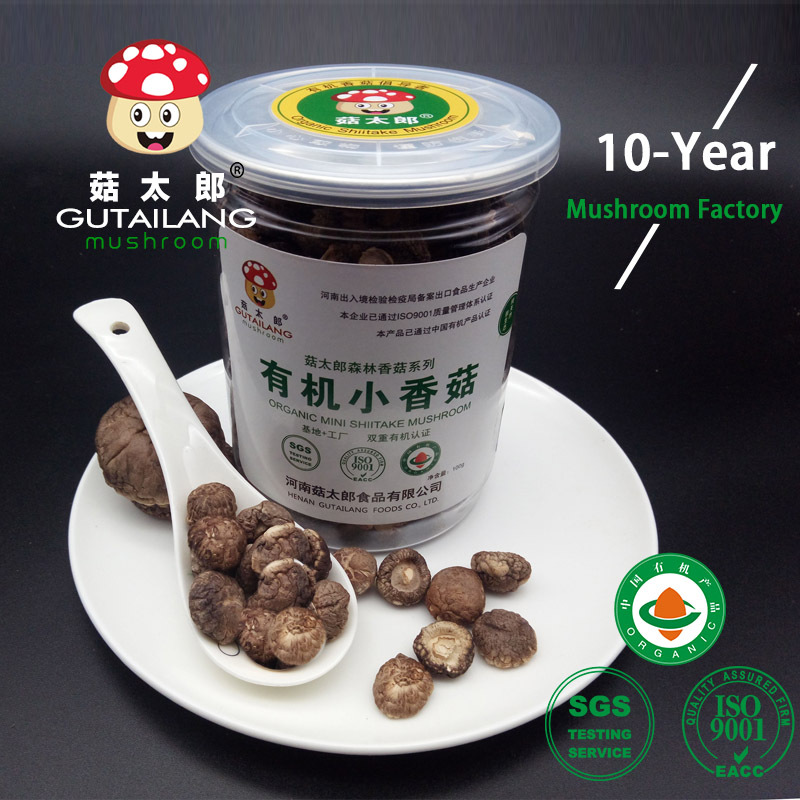 Packaging: Large and small packing can be provided. 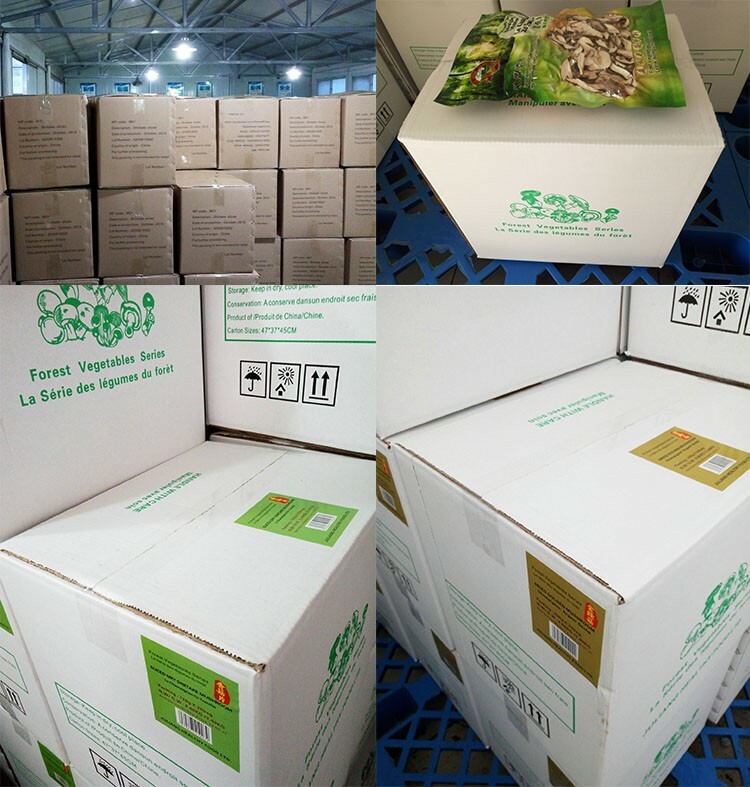 Large packing: the internal packing is made of PE plastic bag and the external packing is made of hardened corrugated carton box. 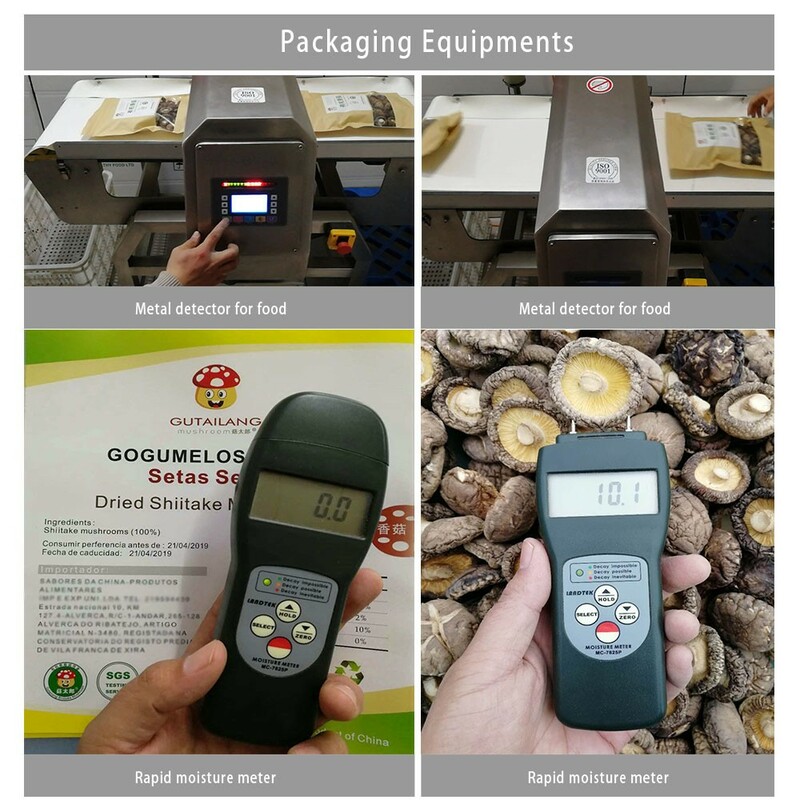 Small packing: The internal pack is made of PE plastic tray(optional) and the external packing is made of plastic bag. 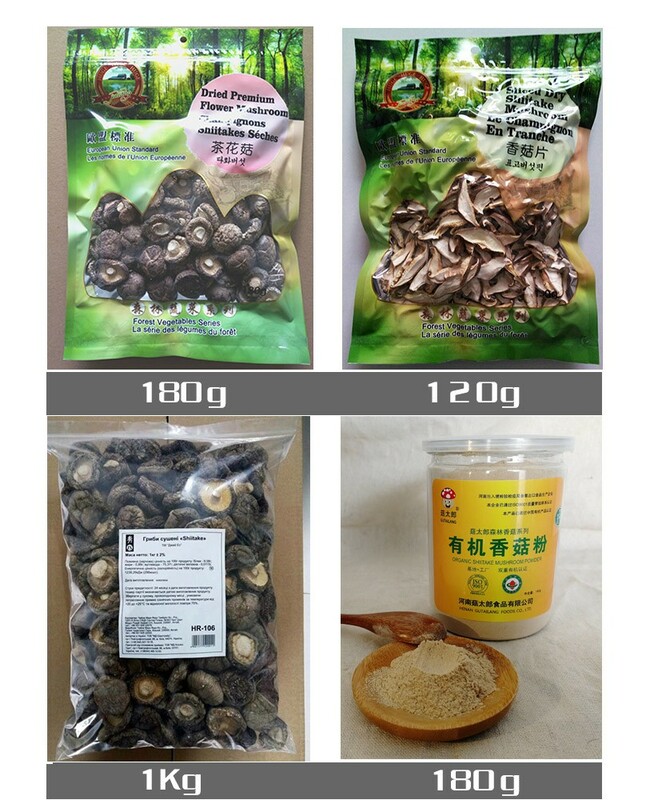 Small package: 20-1000g/bag, as per customer’s requirements. Vacuum pack and various of languages and design available for printing. All major languages are available for printing. Package design are for free. Our factory has professional designers. 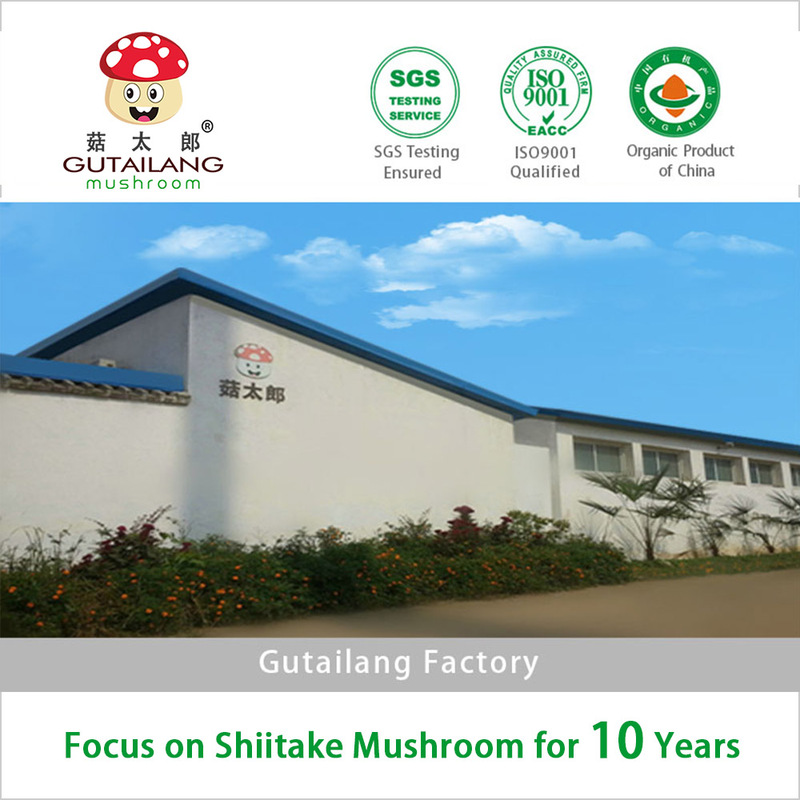 We are one of the leading professional shiitake mushroom producers in China. The factory is equiped with advanced facilities such as stainless vibrating screening machine, air-drier, vacuum package machine, metal detector, carton sealing machine, etc. 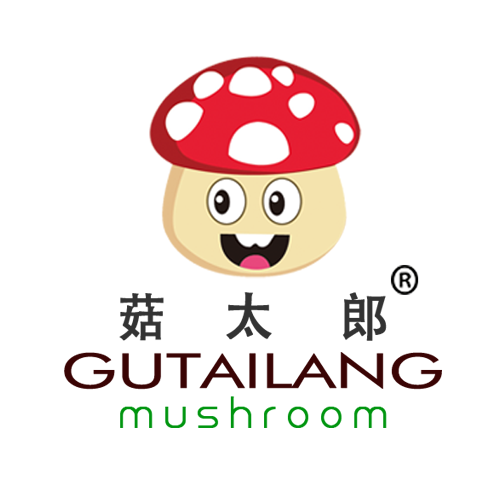 Gutailang's mushroom products have been exported to the USA, Canada, UK, Spain, Portugal, Italy, Ukraine, Japan, Korea, Singapore, Thailand, etc. Qingdao or Shanghai are the mostly used loading ports. Other ports are optional as per customers requirements. 1. ISO9001 management system qualified. 2. 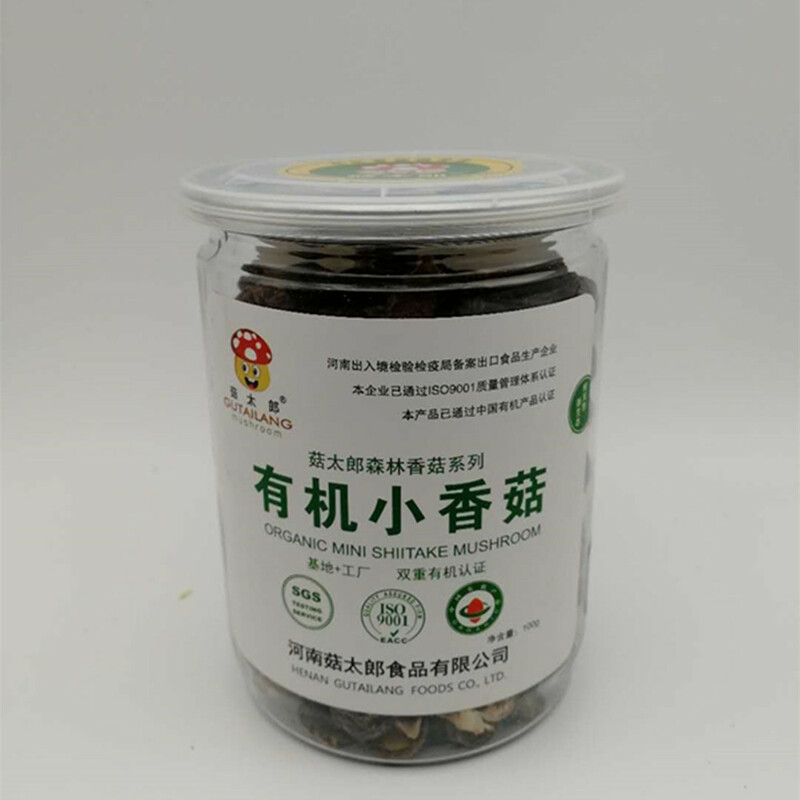 Organic Products of China.